Ceiling lighting is a MUST for creating sumptuous atmosphere in a home. Typically a beautiful pendant or chandelier dangling from the ceiling focally marks a specific living center in the home –a place to enjoy. If you don’t have fun or cool pendants /chandeliers over your dining table, kitchen peninsula or island, breakfast nook table, tub, reading area or corner bar or bed, then you are missing out on an opportunity to create some real ambiance in your home for all to enjoy. Lighting is truly magic for our senses especially when we head into the gloomier fall and winter months. These beauties below will transform your space day and night and will not break the bank in doing it. A circular, vintage brass-plated frame has four rows of glass drops in alternating teardrop shapes. The result is glamorous and elegant—almost extravagant given its diminutive scale. 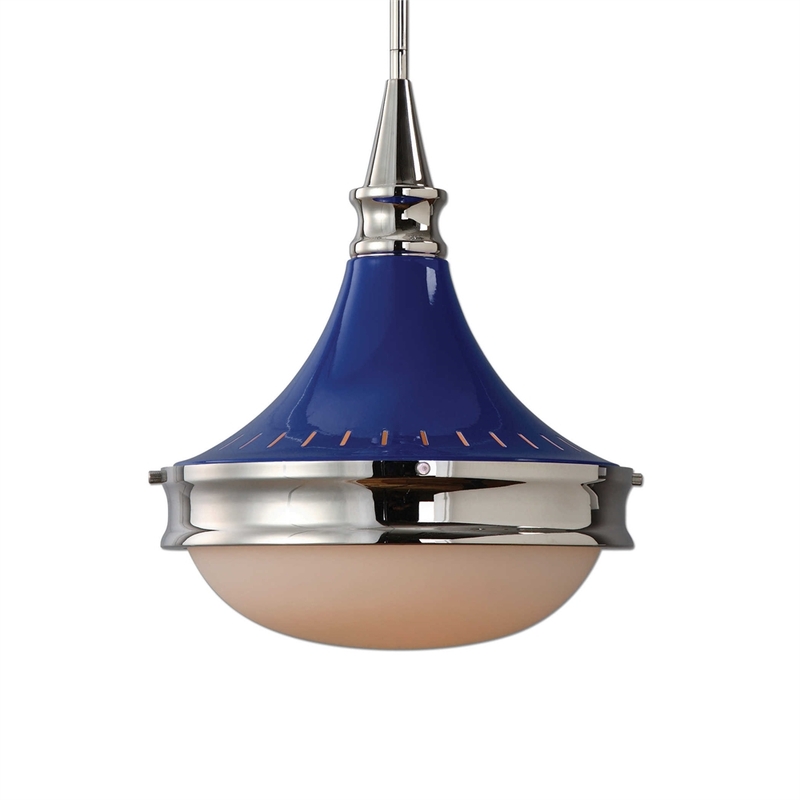 Reflecting and refracting light to brilliant effect, this pendant can be the defining element in a powder room or dressing area. Additional chain available CHN-979. Damp rated: Approved for use in covered outdoor areas or bathrooms. Ceiling hardware. In STD metal Finish $500, In antique brass as shown, slightly more. Blueberry, 1 Lt Pendant. Polished nickel with painted blue accent and opal glass. The stem kit for mounting includes 3-12″ rods and 1-6″ rod giving adjustable heights for installation. 61 H X 13 Dia. Nashua, 4 Lt. Pendant. Grey taupe washed wooden lantern with polished nickel accents featuring screened sides giving a classic american back porch feeling to this unique fixture. Lezzeno, 3 Light Chandelier, Draped jewelry chain finished in a dark oil rubbed bronze with gold high lights. 10. The Dixon Solid Walnut Pendant– okay, this one is over $500 but I couldn’t resist including it–so gorgeous. If you are interested in the lighting above please inquire with us and we will be happy to order them for you at these special prices. Very nice, I could see these done very nicely in many settings, with a full table of plates and settings being served with smiles,fun, and laughter.